Click here for the supply list! 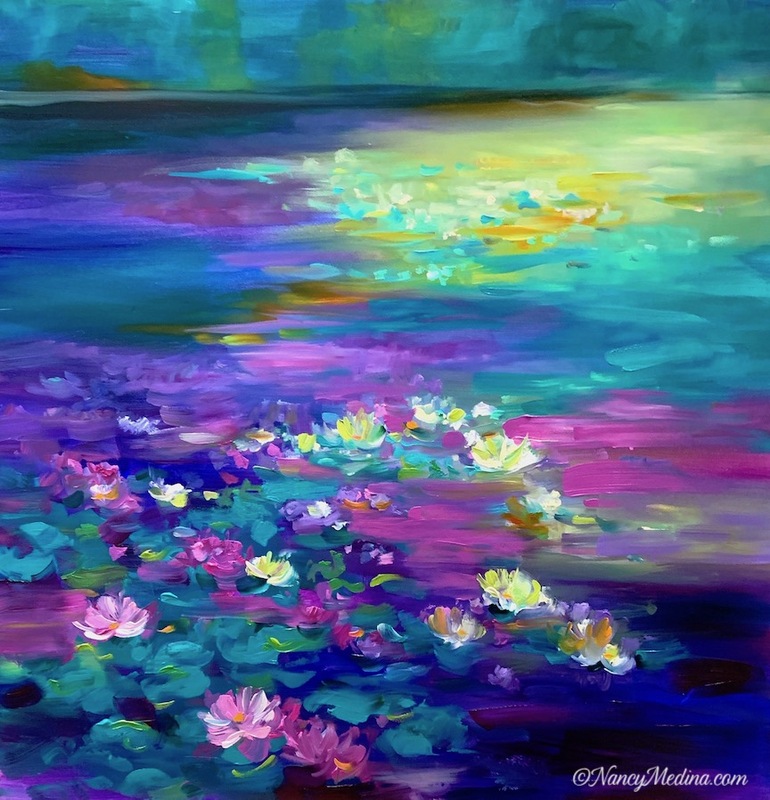 1 Seat Left ~ Painting Monet's Palette in Flower Mound, Texas! 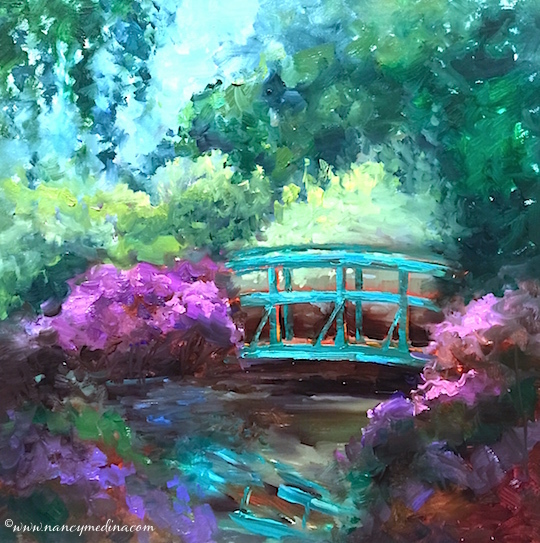 My first workshop, Painting Monet's Palette, filled so quickly I've opened a new one for you! 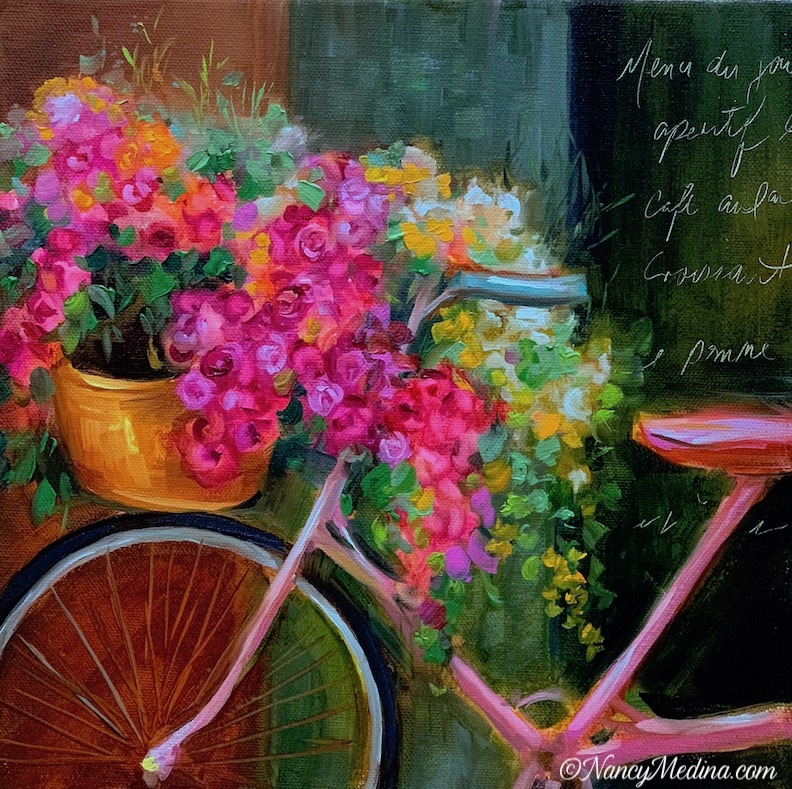 Put a little joy in your brush and join award-winning artist Nancy Medina for 3 days of painting brilliant florals and landscapes with a focus on the colors from Monet's palette. Based on images from Nancy's travels to Monet's Garden, you'll learn to mix the legendary hues of the gardens of Giverny, France. 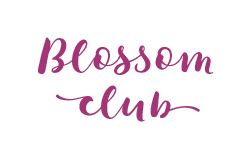 This will be a small class in Flower Mound Studio, located just minutes from DFW International Airport. 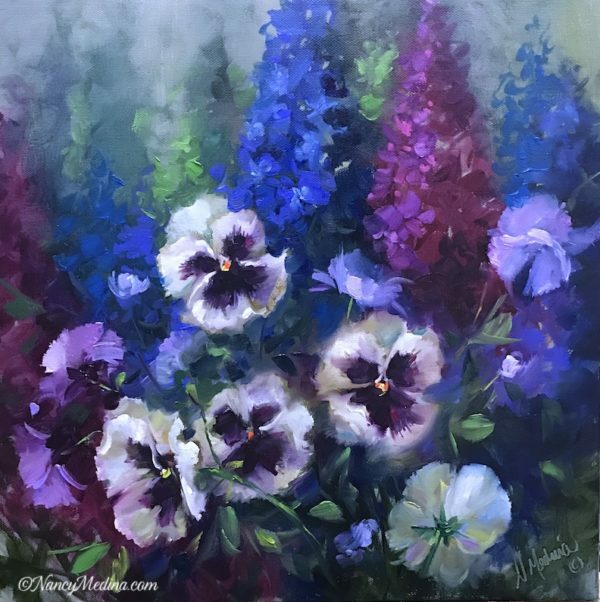 Nancy shares all of her favorite tips and tools for color mixing, the importance of value to create impact, and how to use temperature strategically in order to make your paintings dramatic. With a focus on Monet, this will be a fun experience filled with eye-opening color. 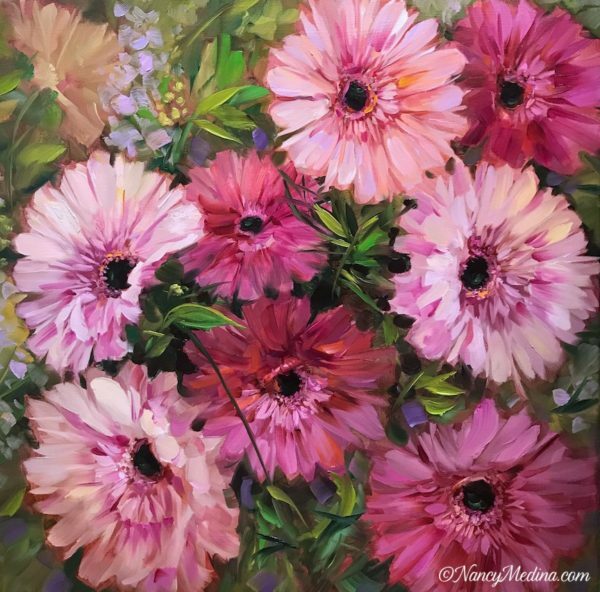 Open for beginners to advanced painters, Nancy will share all her favorite tips for taking your art to the next level in this fun workshop. Plan to be pampered and spoiled with all the TLC Nancy's home studio can provide, including delicious treats and three lunches prepared by Chef Carlos. 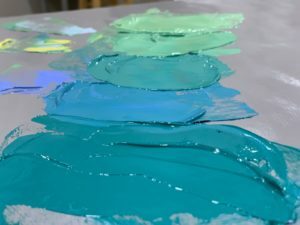 Want to dig deeper into your exciting art journey, learn about new colors not on the traditional supply list, or pick up practical studio tips? A visit to Flower Mound Studio is a fun way to get a peek behind the scenes of all the exciting day to day workings of a busy artist in her home environment, with all her favorite tools on hand. 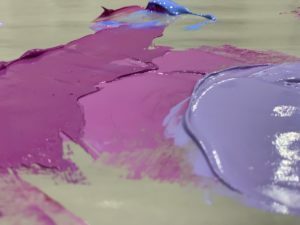 Open for students who work in oils, as well as those who work in water-based oils and acrylics, you will learn to loosen your approach to painting with multiple demonstrations by the teacher. 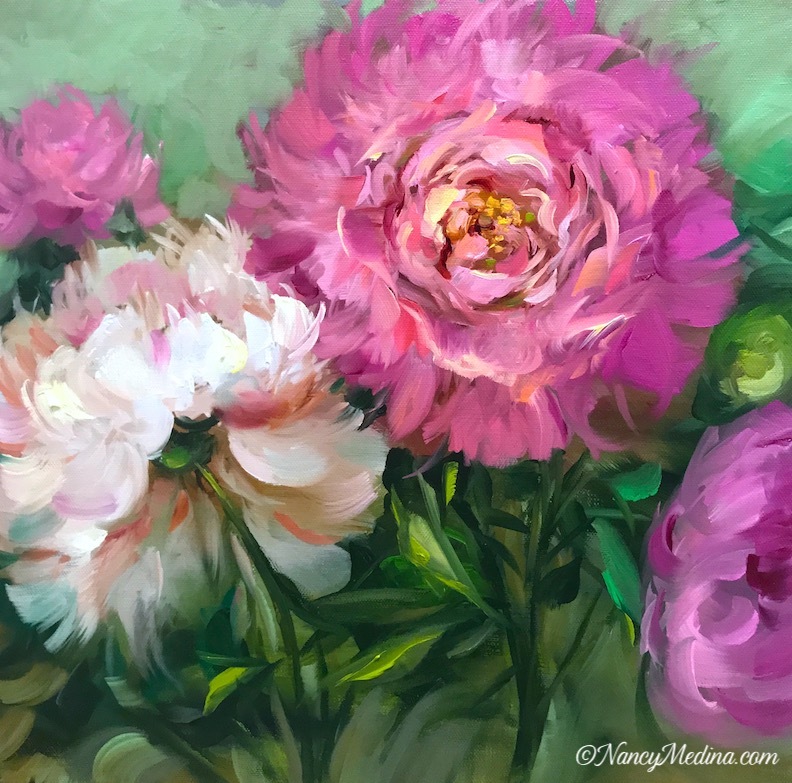 Nancy shares all her favorite tips with you for creating brilliant color on a transparent background, and methods for making your garden paintings look authentic and beautiful. Students are encouraged to take lots of photos and ask many questions and will take home the tools needed to create paintings they will enjoy for years to come. Want to know where to stay? This will be a small class with plenty of teacher TLC!